Members of the Buckeye Conservancy gathered along with HSU faculty, local business owners and timber industry professionals last night for a presentation by Sheriff Mike Downey on the impact of industrial marijuana grows. "It sickens me to see what's happening to our county," said Downey. In a 20-minute slideshow presentation the sheriff illustrated the environmental problems associated with large marijuana grows, including sediment slides from illegal grading, water diversion, rodenticides and hazardous waste leaks. "It's getting to the point where I'm asking my deputies to wear protective gear when they go in, some of these sites are so toxic," Downey said, referring to the presence of chemicals such as DDT and methomyl, which are sometimes used to deter vermin from the plants. He went on to cite lack of funding for enforcement as a major hindrance to addressing the problems, though he said at this time the District Attorney's office has a special task force whose primary focus is land issues. 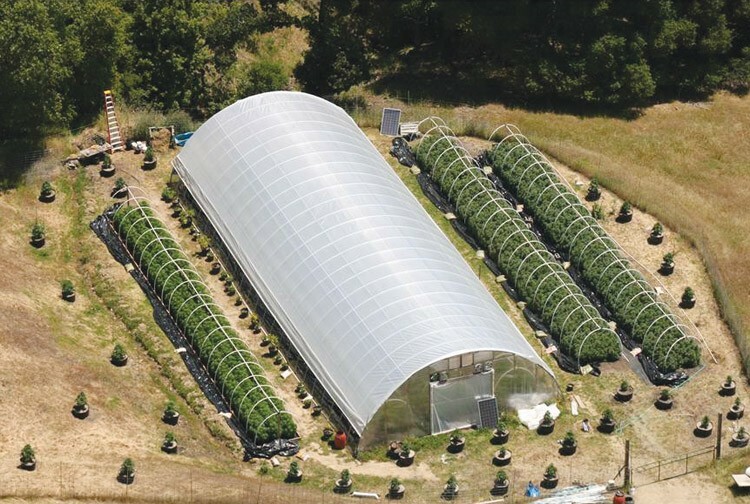 In a question-and-answer session after the presentation, several landowners expressed concern at seeing agricultural land in Humboldt County subdivided and used for marijuana cultivation. Elizabeth Marshall Maybee of the Marshall Ranch, near Bridgeville, spoke of her anxiety at losing her family ranch and facing the potential of selling parcels to growers. There were many murmurs of agreement in the crowd. Another landowner said, "It took me 30 years to piece together my ranch. I'm selling it to a 29-year old ex-rodeo star. I'm taking a hit on it. I was offered a lot more by growers. And it's not just the growers — it's the kids. I can't get a kid in Southern Humboldt to work for me for what I'd pay him." The Buckeye Conservancy, which organized and hosted the presentation, is an advocacy group that focuses on "the ecologic and economic sustainability of natural resources and open space in family ownership."